At Student One we have lifted the bar in student accommodation. In July 2016, we proudly opened Student One Adelaide Street – a purpose-built student residence in the heart of Brisbane’s CBD. With 742 beds, world-class facilities and a focus on community, we quickly became a “home away from home” for hundreds of students. ABSA have recognised Student One as the perfect step between the boarding routine and completely-independent living. Our premium accommodation and student services allow residents to thrive as independent students and young adults, while also being supported by an amazing student community and a dedicated team of caring staff. Student One has preferred partnership agreements with the majority of Brisbane’s major universities and colleges, and many of our current residents are students of UQ, QUT, Griffith, TAFE Queensland, CQU and JCU. No matter where you’re studying, chances are you’ll have classmates staying with us too. The opening of Student One Wharf Street in January 2018 will raise the bar even further with a swimming pool, outdoor theatre, dedicated study floor, and roof top entertainment area on the 39th floor. 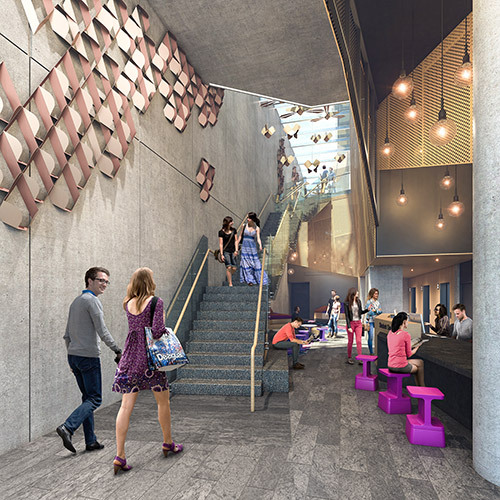 Student One Wharf Street will become the world’s tallest purpose-built student accommodation. At Student One we focus solely on the needs of the students – and that’s not just about where you sleep. Whether you need help finding part-time work, adjusting to life in Brisbane, or making friends for life – we’re here to help. Our flexible and holistic approach delivers a premium living experience to all students, from Queensland, from Australia, and from all over the world. We offer flexible lease terms (min. stay is 4 weeks). To check out the Student One Scholarships, click here. To check out our provisions for international U18s, click here.